What Surfing Level are You? Terms like beginner, intermediate and advanced surfer are a bit vague so we define these terms below using levels so that you can see exactly where you fit. The coaching methods for what I would call a Beginner or Novice surfer (level 1 or 2) are quite different from what is best for an Intermediate or Average surfer (level 3 or 4), so we always get clear on your level before booking you in. Level 1 – You have never surfed before. Level 2 – You’ve surfed before, either on your own or had a lesson or two. You might be able to stand up and ride whitewater waves but you have limited skill or experience at paddling out to catch the bigger ‘green’ waves before they break. Level 3 – You paddle out the back and ride unbroken waves successfully most of the time. You might be able to perform some basic moves like cutbacks or little floaters on whitewater sections. You are likely to be a late starter to surfing or someone who hasn’t surfed regularly enough to nail the core skills yet. Level 4 – You’re an experienced surfer and have the ability to surf a wide range of conditions with confidence. You know how to generate speed, perform basic moves and are at least attempting more advanced ones. You might only have a few years of regular surfing under your belt, you might be a ‘weekend warrior’, or maybe you’ve been surfing for 15 years plus. Ability wise you might still be working on your core technique and style, or you might be a solid surfer who surfs top to bottom, throws spray and gets barreled regularly. This level is broad. Surfing Level 1 or 2? You fall into this group. Note, if you’re a level 2 we can also do private coaching as found in the next section for average surfers. 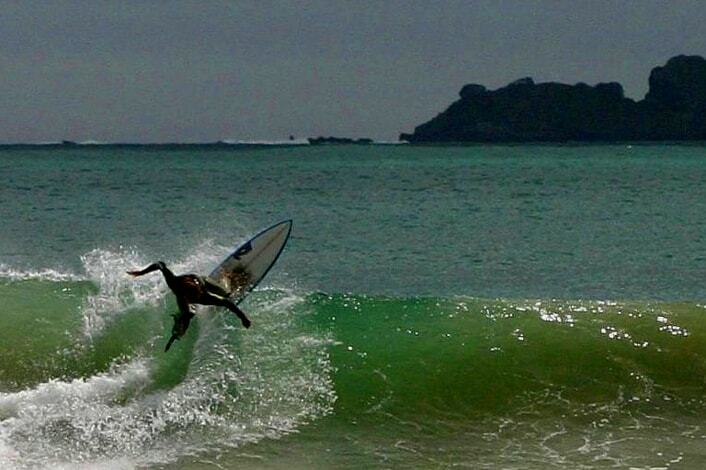 On our popular Raglan based course you will learn all the skills you need to become a confident surfer fast. You can expect a mix of theory lessons and plenty of water time with your coach in the waves with you, providing regular feedback. 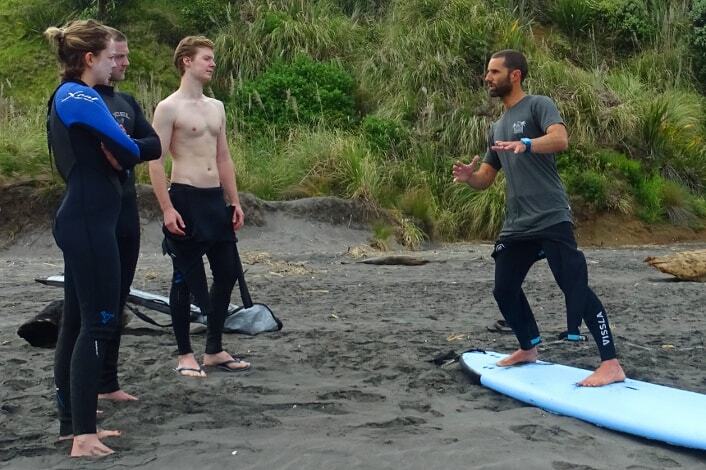 A 2 hour introductory lesson at the beach in Raglan. This is for those who just want to give surfing a go and see if they like it. Some of our surf coaching camps and overseas trips are suitable for Level 2 Surfers, especially if you follow on from doing the Beginner Course with us. 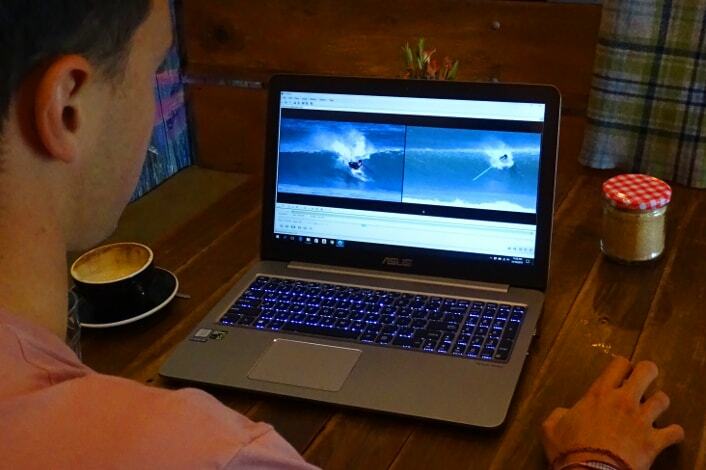 A great way to improve your surfing quickly and find some surfing mates at your level. Surfing Level 3 or 4? You’re beyond the basics but you’re not professional or aspiring to be one. You’re what I call an average surfer and most surfers fall into this group, maybe 90% of us. These lessons usually involve video coaching and review but we also do in-water coaching depending what you need help with. We target the common problems average surfers face and look at technique, mobility limitations and land based training. 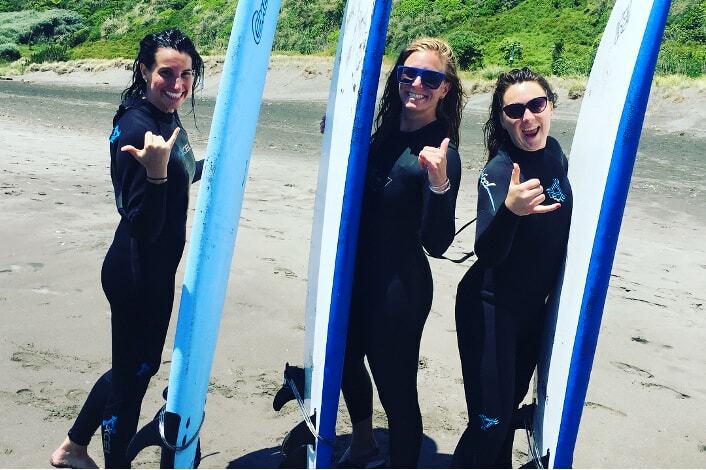 These surfcamps are designed to inspire you and unlock your potential while surfing good waves with a few like minded people of a similar surfing level. 2 video coaching sessions per day + land based training in between. 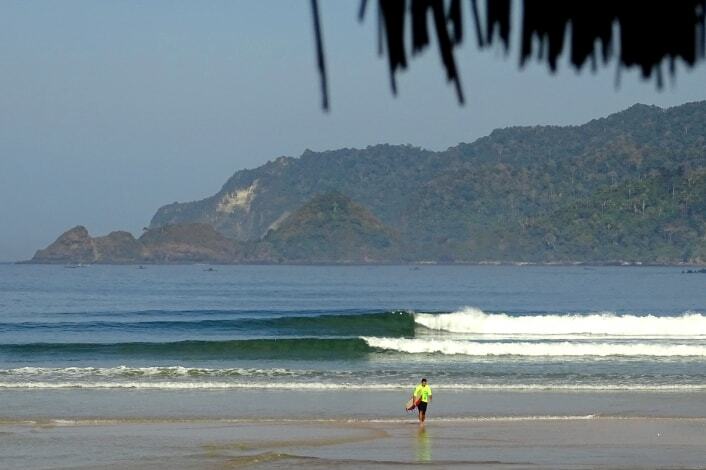 Well planned overseas trips to off-the-radar spots with quality waves suited to your level. 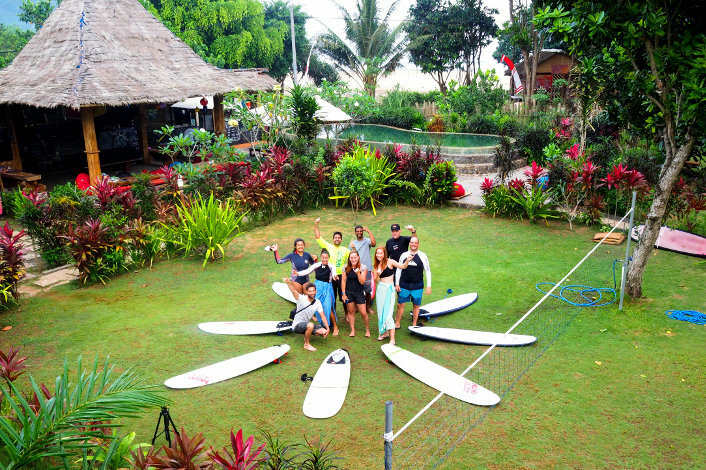 Experience new aspects of surfing, have a travel adventure with good people and go home a better surfer.